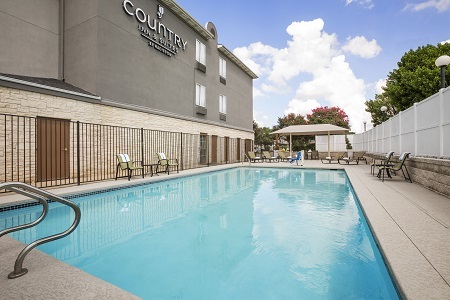 Book a quiet stay at the Country Inn & Suites® by Radisson, Austin North (Pflugerville), TX. The hotel is conveniently off I-35 near Pflugerville, a green and growing suburb just north of Austin’s colorful downtown. Stay with us to be less than 10 minutes away from Dell Corporate Headquarters, GE, HP, Samsung and other major companies. Business travelers also appreciate free Wi-Fi and a business center. Book an Executive Suite for even more space and an extra vanity area. Pull up a chair in the dining room for our complimentary, hot breakfast. 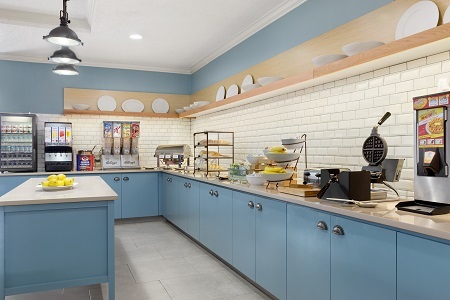 Every morning, we serve eggs, waffles, yogurt, fresh-brewed coffee and more. Ready for a great meal after exploring Austin? Visit one of the many nearby restaurants like Baby Acapulco, Johnny Carino’s or Inka Chicken. Austin’s Park n’ Pizza – You’re just minutes away from the go-karts, miniature golf and bumper boats at this hot spot. After a jam-packed day at Austin’s Park n’ Pizza, treat the whole family to a pizza pie with all your favorite toppings. Texas Capitol – Head into Austin to see the castle-like State Capitol, the oldest state office building in Texas. Check for specialty tours throughout the year, like Women in Texas History or Rest in Peace, a haunted October tour. The capitol is about a 15-minute drive south of our hotel. Outdoor adventure – Pflugerville features more than 40 miles of connected, picturesque trails along with vast green space, a lake and 26 developed parks. While you’re here, drive four miles west to check out Katherine Fleischer Park, complete with play areas and walking trails. Are you planning this year’s family reunion, a corporate event or a wedding reception? 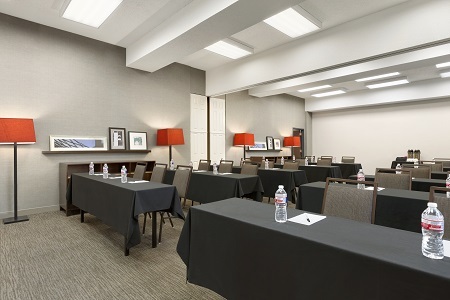 We offer two meeting rooms that can accommodate up to 70 attendees. 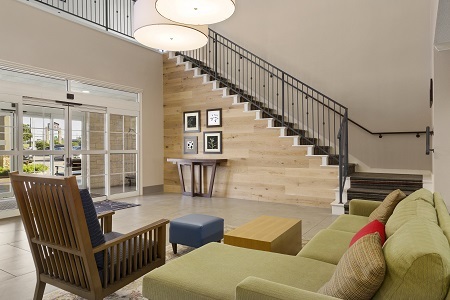 Guests appreciate our all-suite accommodations near corporate headquarters like HP and attractions such as The University of Texas at Austin campus. 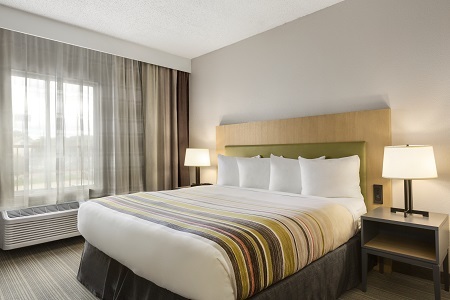 We are a Radisson Hotel Group Sports Approved hotel committed to providing your team with safe, comfortable and convenient accommodations while you’re in the north Austin area.